Order Hidden Tilt Rod Louver Pins for making interior wood shutter. These nylon shutter pins are utilized when constructing new plantation shutters when using our hidden tilt rod. They support the louvers in the shutter panel, and allow the louver to rotate. The narrow end of the nylon pin is inserted into the louver. The larger end of the nylon pin is inserted into the stile or frame. A washer is molded into the pin which prevents the louver from rubbing the inside of the shutter stile allowing for smooth operation of the louvers. This washer is sized so as to allow the hidden tilt rod to recess itself between the end of the louver and inside of shutter stile. Note: If you need to get a louver back into an exiting panel you should order the Louver Repair Pin which is spring loaded. I bought a bag of 500 of these pins to go on some custom built shutters that I was making. I used Rockler's shutter jig to make the shutters but did not like the hidden tilt rod that they provide at the store. 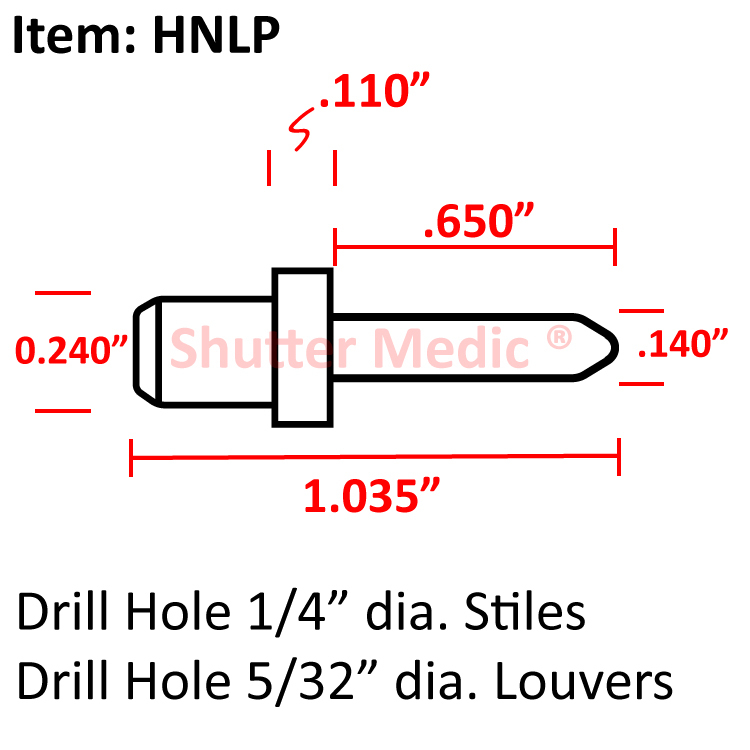 You need to use these pins with the hidden tilt rod that Shutter Medic sells. 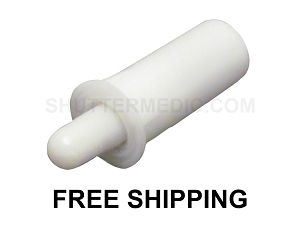 Once thing that the buyer should be aware of is that if you are installing these into the Rockler system the hole diameter size for these pins is 1/32 larger in the louver than the ones from Rockler. Used this product with the hidden tilt rod. Works great. Highly recommended. Excellent product, great price, delivery was fast. without these pins I could not have made my shutters. Thanks Shuttermedic.